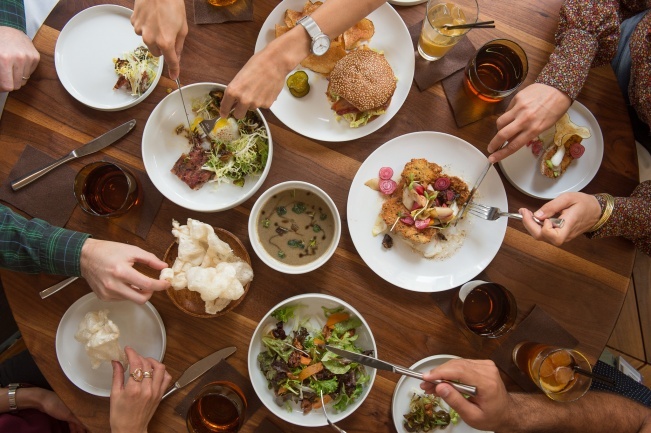 Amazing Giveaway of San Francisco Restaurant Week Lunches + Dinners With The J.S.F. Happy 2016! For those of you like me who LOVE to dine out I’m giving you a belated Christmas present… Kidding, but sort of true. I have partnered with TWELVE fabulous San Francisco Restaurants participating in the upcoming Restaurant Week (January 20th -31st, 2016) who are sharing a MEAL (note tip and beverages are NOT included, that’s on you) with you! Am I serious? Absolutely, too good to be true right? 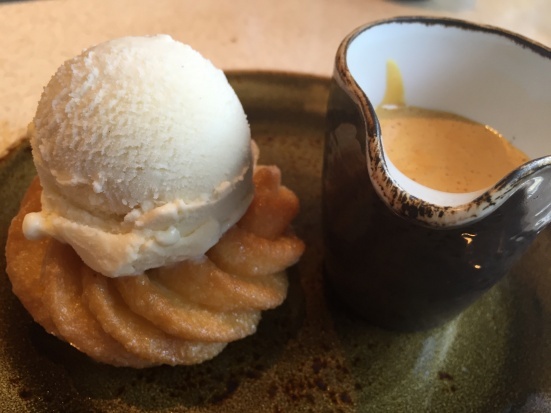 What is Restaurant Week: The Golden Gate Restaurant Association (GGRA), in partnership with OpenTable, has secured an amazing group of nearly 130 restaurants for its second year leading the program. This year’s restaurants represent 25 neighborhoods and 25 different types of cuisine. How do you win: Follow the JetSetting Fashionista on Instagram @JSFashionista (which you’re hopefully already doing) where I will announce one of the Top 10 Restaurant Week Giveaways every day once the Giveaway starts. 3. Follow the generous restaurant giving away the meal on Twitter & Instagram. They will be tagged in the instagram & twitter post. 4. Winners will be announced within 24 hours of each giveaway. A comment will be made on each Instagram giveaway picture announcing the winner. Reverb Kitchen + Bar – Located in Russian Hill, neighborhood gem Reverb Kitchen + Bar (read more about Reverb here) is offering a $40 pre-fixe dinner menu during Restaurant Week. You can win dinner for two at Reverb as part of the J.S.F. Giveaway. 2323 Polk Street. San Francisco, CA. 94109. For the first time ever, Belga, Lolinda and Starbelly are participating in Restaurant Week and lucky for you, each Restaurant is participating in the J.S.F. Giveaway. See more details below about what you can win where! Lolinda- Experience Lolinda’s delicious dinner during restaurant week for $40. 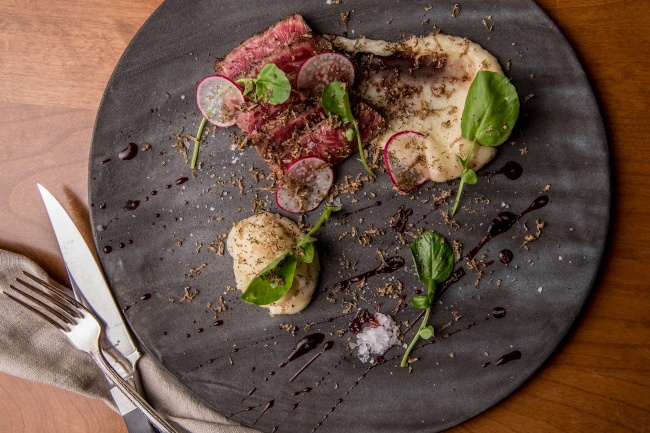 You can win dinner for two at Lolinda as part of the J.S.F. Giveaway. 2518 Mission Street. San Francisco, CA. 94110. Belga – Experience Union Street’s newest Culinary destination Belga (read more about Belga here) during Restaurant Week for either lunch at $25 or dinner at $40. 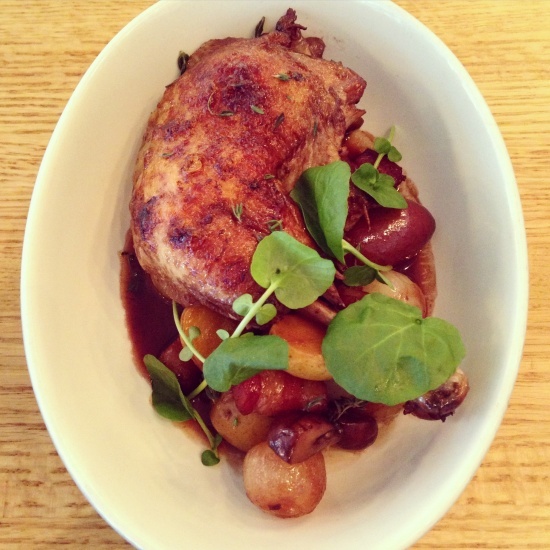 You can win lunch for two at Belga through the J.S.F. Giveaway. 2000 Union Street. San Francisco, CA. 94123. Roka Akor – Experience Roka Akor (read more about Roka Akor here) during Restaurant week for either lunch at $25 or dinner at $40. Lucky for you, I’m giving away one of each, a lunch for two AND a dinner for two! 801 Montgomery St, San Francisco, CA 94133. 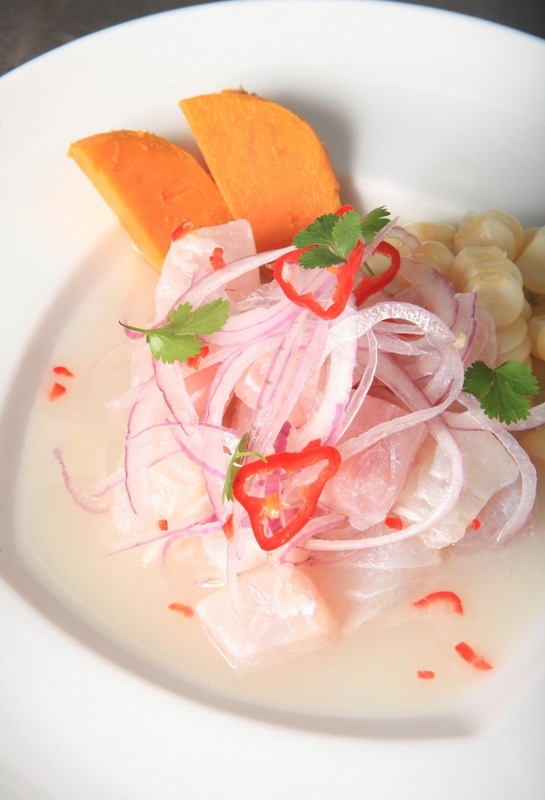 La Mar Cebicheria – Visit La Mar Cebicheria during restaurant week for either lunch at $25 or dinner at $65. As part of the giveaway you can win a lunch for two! Pier 1 1/2, San Francisco CA. 94111. 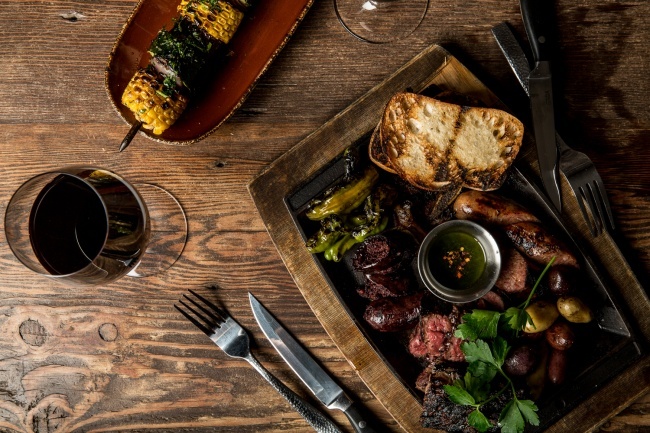 Charlie Palmer’s Burritt Room + Tavern – Charlie Palmer’s San Francisco culinary destination the Burritt Room is participating in dinner for restaurant week at $40. 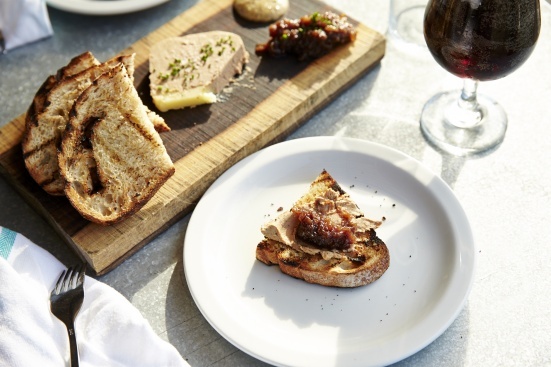 You can win dinner for two at The Burritt Room through the J.S.F. Giveaway. 417 Stockton Street. San Francisco, CA. 94108. 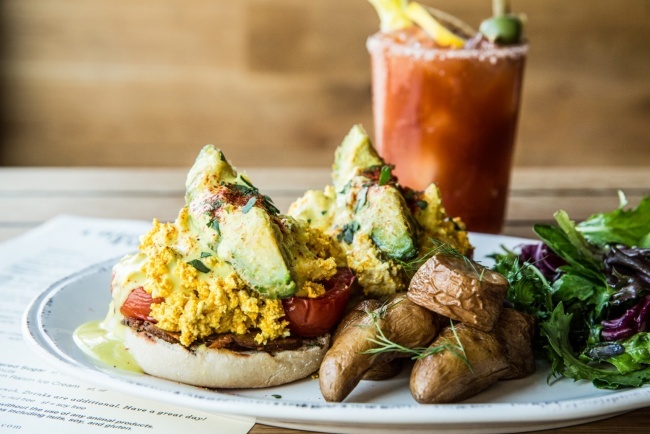 Citizen Fox – The vegan hotspot in the Mission will be doing a lunch at $25 and dinner at $40 for Restaurant Week. 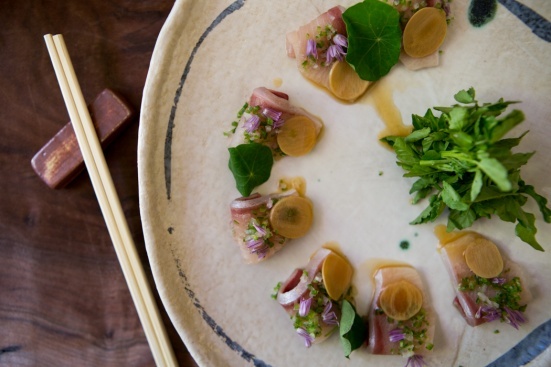 You can win dinner for two at Citizen Fox through the J.S.F. Giveaway. 2293 Mission Street. 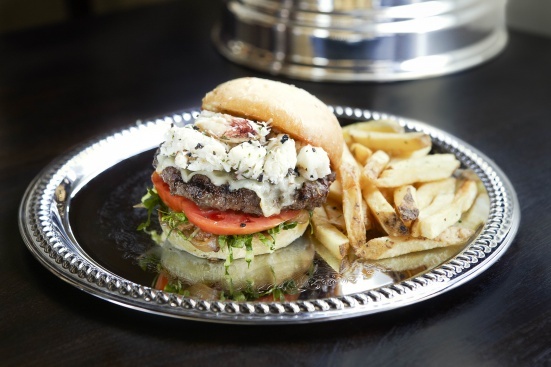 The Dorian – This Chestnut Street newcomer is participating in Restaurant Week for dinner at $40. 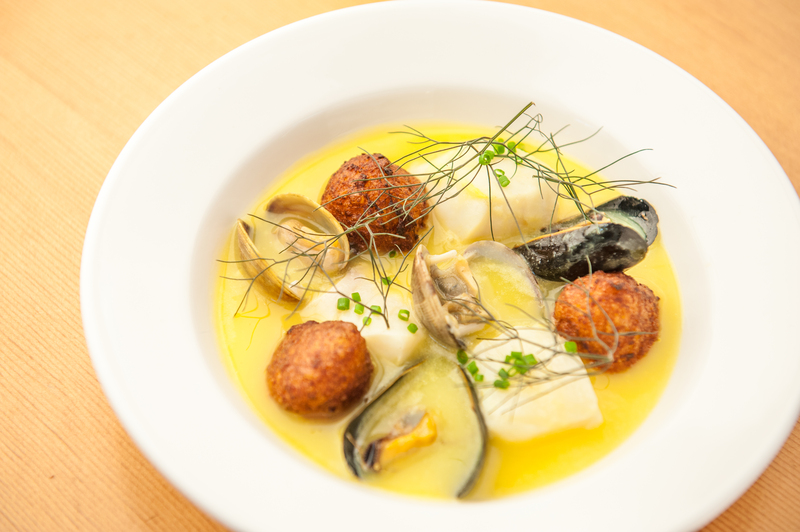 You can win dinner for two at The Dorian through the J.S.F. Giveaway. 2001 Chestnut Street. San Francisco, CA. 94123. Fog City – Fog City (read more about Fog City here) is participating in Restaurant Week for dinner at $40. 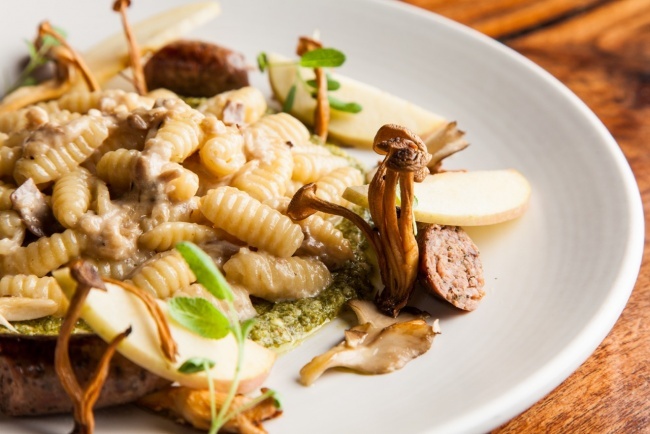 You can win dinner for two at Fog City through the J.S.F. Giveaway. 1300 Battery, San Francisco. CA 94111. Bon Marche – Bon Marche (read more about Bon Marche here) is participating in Restaurant Week for lunch at $25. You can win lunch for two at Bon Marche through the J.S.F. Giveaway. 1300 Battery, San Francisco. CA 94111. Disclosure: Emily has partnered with the various restaurants participating in this giveaway to promote the upcoming Restaurant Week offering and those Restaurant’s generously participating in the giveaway. Each restaurant is paying for the complimentary meals (note, no tip or beverages included).